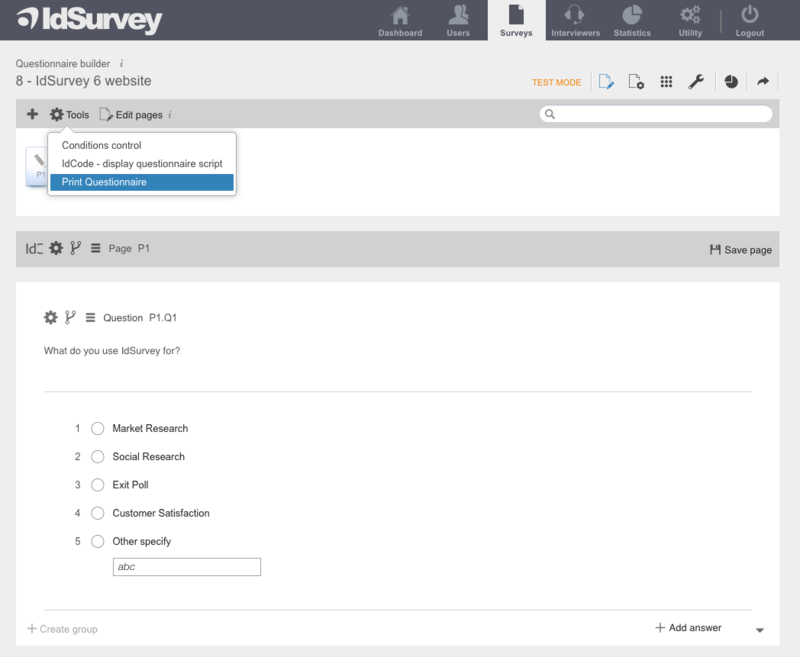 With IdSurvey you can print the questionnaire you created and have it on paper in order to check its flow. Go to the “Questions” section from the survey menu. Click on the gearwheel button of the pages box and select “Print Questionnaire”. When you click on this button a pop-up page will appear with the preview of the questionnaire you are about to print. You can decide to print the filters and logic conditions by activating the “Show filters” button on the bottom left of the page. When you are ready to print click on “Print Questionnaire”.